Now, we have a new one to add to the list — National Get to Know Your Customers Day. Unlike with most “national” days, this one isn’t an annual event. Instead, it’s celebrated four times a year (on the third Thursday of every business quarter). The next National Get to Know Your Customers Day falls on July 19, 2018. What is this holiday — and as a merchant or retailer, why should you even care? The first rule of any successful business is to build a loyal customer base. That’s because it’s much easier (and more profitable) to retain existing customers than it is to acquire new ones. That’s what National Get to Know Your Customers Day is all about. It’s designed to help you reconnect with your current clientele so that you better understand their needs, challenges and pain points. In a perfect world, you would do this type of analysis every day. Getting to know your customers is simply good business practice — but few merchants have the time and energy required to stay on top of customer behavior 24/7. National Get to Know Your Customers Day provides an opportunity to focus more on outreach and communication. Why Should You Care About National Get to Know Your Customers Day? This national “holiday” isn’t well-known. In fact, most businesses have never even heard of it. However, if you’re a small retailer, National Get to Know Your Customers Day is the perfect time to distinguish yourself from big-box competitors — and here’s why. In today’s on-demand world, larger retailers have a competitive advantage. They can outperform you when it comes to pricing, speed and reach. Yet, big-box stores rarely take the time to “get to know customers” on a personal level. Doing so simply isn’t cost-effective for them, since they typically compete on volume. Many shoppers still crave the face-to-face contact that used to be a staple of Main Street. As a smaller player, these types of personal connections are precisely where you can shine. Start remembering the names of repeat customers. Greet every person who comes in with a friendly smile. Take the time to ask for individual feedback and suggestions. Although National Get to Know Your Customers Day isn’t technically a shopping “holiday,” you can still treat it with the same fanfare you’d normally reserved for Easter or Valentine’s Day. For example, if you start hanging decorations, giving away freebies or sending thank you notes, your customers will likely begin asking questions. Like that, you’ve just started a conversation — which is kind of the whole point of this quarterly event. Through this communication, you’ll begin developing deeper insights into your customers’ needs and wants. You can use those ideas to continue improving your business and growing sales. Quick Pro Tip: Don’t try to aggressively sell anything on National Get to Know Your Customers Day. Keep the discounts and promotions for other days of the year instead. We mentioned before that few merchants have the bandwidth to constantly monitor customer behavior all year. Though it’s definitely possible — especially if you choose the right payment processor to power your business. BluePay’s payment integration also makes it easy to bring all of your loyalty programs, CRM platform and sales tools under one roof. This allows you to more accurately identify potential opportunities or areas for improvement. 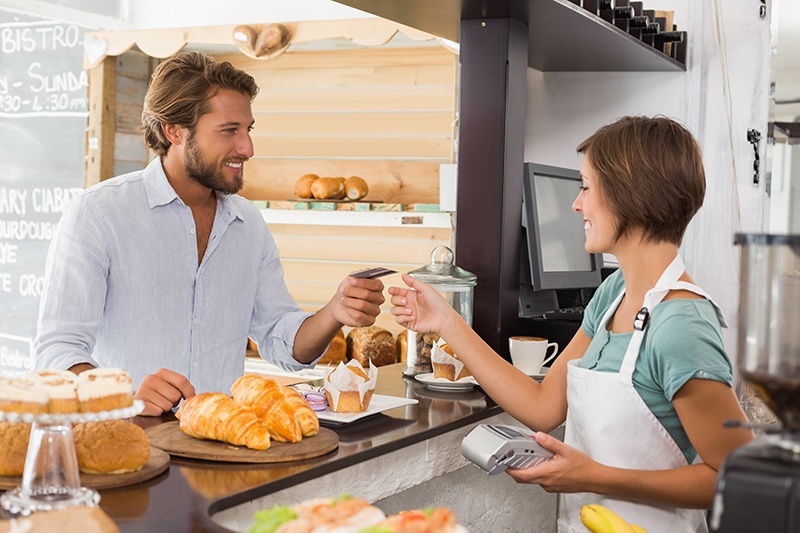 If you’d like to make every day National Get to Know Your Customers Day, our PCI-compliant payment solutions may be able to help. To learn more, schedule a free consultation with our merchant services team today.